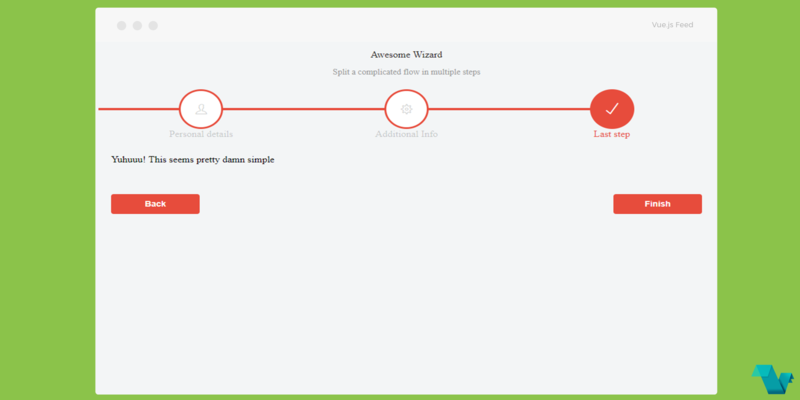 Vue-form-wizard is a Vue component with no external dependencies which simplifies tab wizard management and allows you to focus on the functional part of your app rather than wasting time on details. You can use these as a playground before implementing it into your projects. To start working with vue-form-wizard use the following command to install it. You got what you wanted? For your convenience, there are additional props listed in the documentation as well as slots & other options. If you would like to explore more about Vue.js 2 wizard, head to the project's repository on GitHub, where you will also find a link to the documentation.